Pregnancy and parenthood will make your business stronger! This is a huge transition for you and your business, but I promise that it's a good one for everyone and everything involved! I know that's not what you hear out on the street, but I'm here to tell you a different story. The secret to reaping these positive benefits is to overcome the isolating aspects of entrepreneurship and early parenthood. That's where this planner comes in! And giving you a year-long container of support and community! 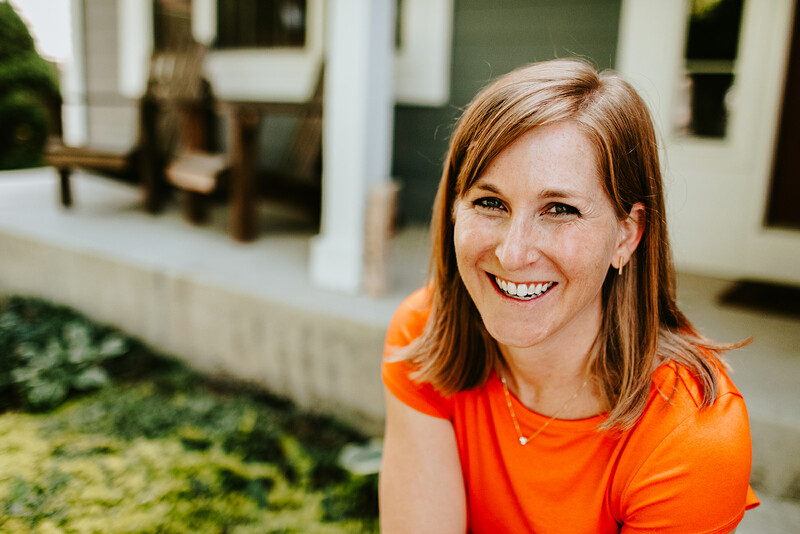 If you have questions on what you need to do in your business, what you can expect from this new life, or just wish someone would tell you what to do each day - you will find all of this coming into your inbox each week. This planner is for any business owner who is pregnant, family planning, or working with young children at home. If you have no idea how to fit planning a maternity leave into your packed day, this is for you! If you're sitting at home with a 2-month old and trying to figure out when you're going to get any work done this week, this is for you! If you know you want to change how you work but have no idea how to get started, this is for you! 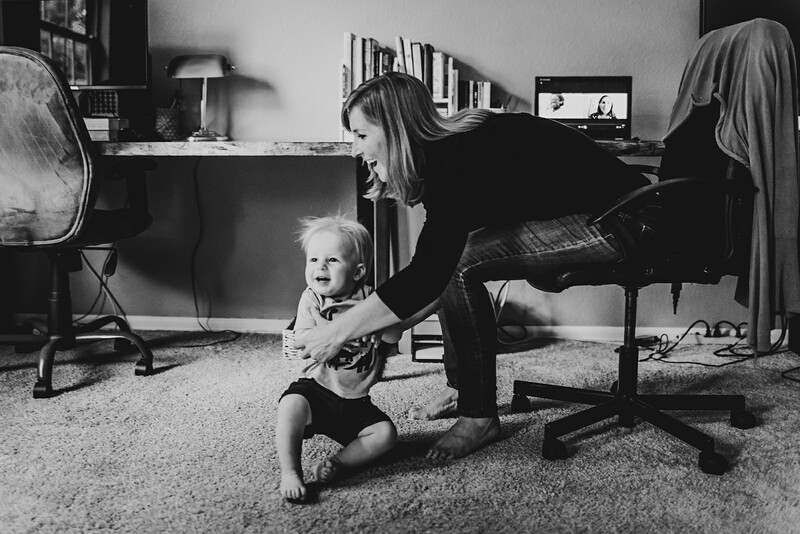 It's easy to feel isolated when you're a parent working at home. This weekly planner serves as a guide post, a shoulder for you to lean on when you need to, a virtual high five when you want to celebrate! I've been there, she's been there, that women in the neighborhood that you pass on walks? - she's been there. Each week you're going to get that reminder that there's a huge movement of women redefining how motherhood and business work for them! Feeling down this week? A little tired? Completely overwhelmed? Here comes your weekly does of encouragement and confidence to know that your business will survive and thrive! Not sure what to do next? Here comes this week's business exercise to point you in the right direction! For those family planning and with older children, you will receive all the emails in order to save and use as needed. I'm so excited to get you know you and be a part of your journey! 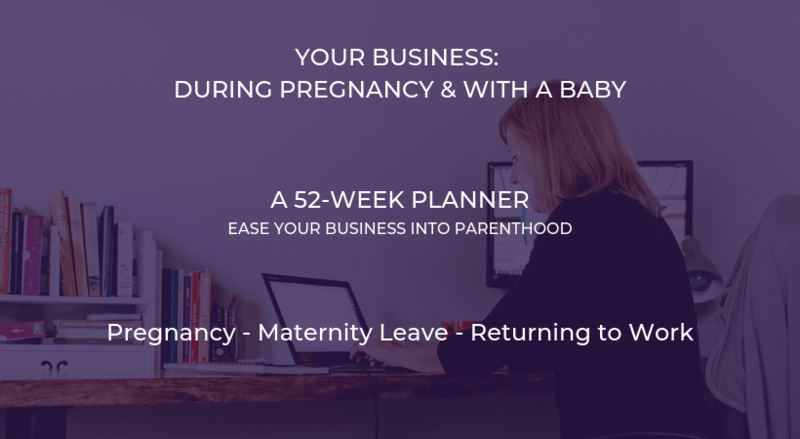 These weekly modules take you through your 2nd and 3rd trimester to give you an extra boost to work during pregnancy, insight into what you can expect from your physical and emotional state as your baby develops, and timely exercises to prepare your business for your maternity leave. These weekly modules guide you through discovering how your baby and business will work together. Our post-partum bodies, minds, and emotions need a lot of support (long past the 6 weeks the medical community gives us!) and you'll find that in these 6 months along with dedicated exercises to ensure a smooth transition to motherhood as an entrepreneur!